Run your Lister Liberty Lithium or Libretto Max Lithium from your 12 volt battery, so you can clip in the middle of a field - or wherever you like! Please note: these will only fit the NEW Lister Lithium clippers. 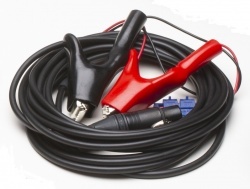 If you have an older style, you will need the Lister Classic Vehicle Leads.